I made several doll outfits, then realized they would have been much nicer with zippers. So, back to the sewing table to pick out the stitches and in go the zippers. Just finished the last one. The skirts are much nicer, but why do I have these revelations after I’ve finished a project? Jett & Pearl outfit for sale on Etsy — with zippers! 27 Feb	This entry was published on February 27, 2013 at 9:52 am. 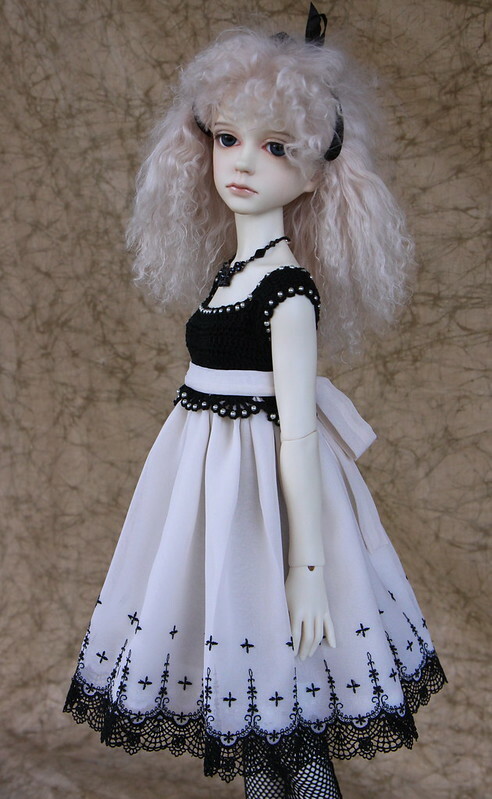 It’s filed under Doll Clothes, Doll Making, Sewing and tagged BJD, clothes, Dollstown, Etsy, Jett and Pearl, Robbin Atwell, Tanya, Yeondu. Bookmark the permalink. Follow any comments here with the RSS feed for this post.